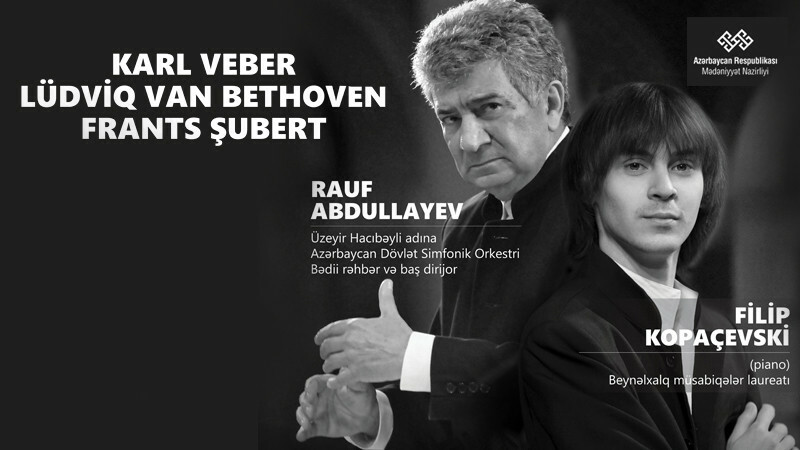 Rauf Abdullayev & Philipp Kopachevsky in Azerbaijan State Academic Philharmonic Hall buy tickets online. Delivery of tickets for the event Rauf Abdullayev & Philipp Kopachevsky. Artistic director and chief conductor of the Azerbaijan Symphony Orchestra named after U. Hajibeyov - Rauf Abdullayev and laureate of international competitions, gifted pianist Philip Kopaczewski will gift the guests a fantastic evening of classical music and perform compositions of such legends as Karl Weber, Ludwig Van Beethoven and Franz Schubert on November 24 at the Azerbaijan State Academic Philharmonic Hall! F.Shubert - unfinished symphony, h-moll. Hurry up to buy tickets for an evening full of outstanding music!